Organizations have moved away from paper documents and are "going digital." Document management has always been key to business operations, but current methods differ greatly from those of even ten or twenty years ago. 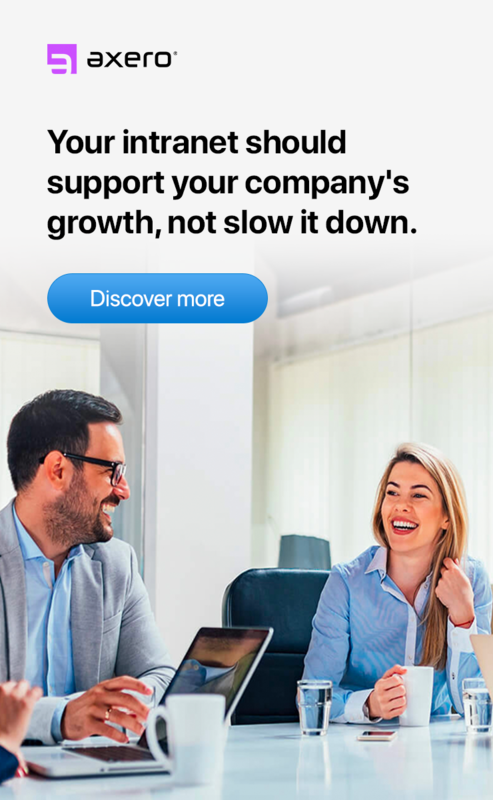 Software platforms have taken the lead, and if your company hasn't started making the switch, you're already behind the competition. 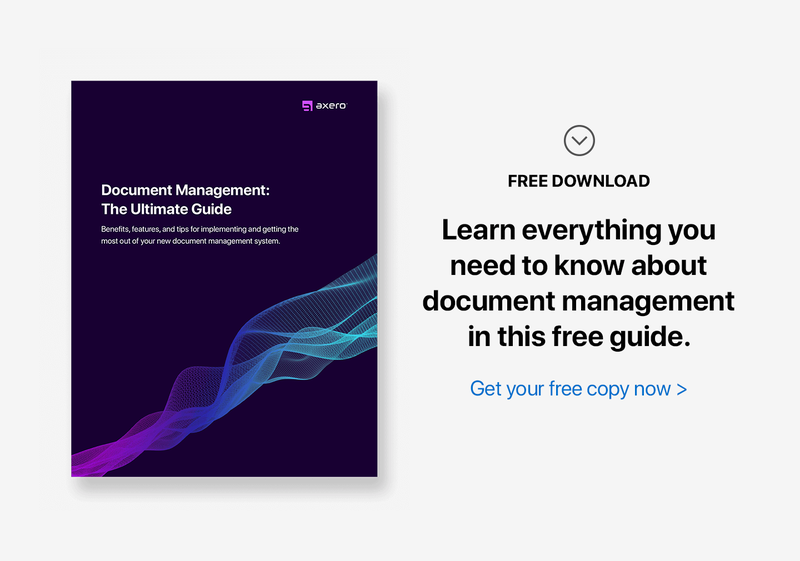 A number of trends have recently emerged in document management practices, and many have the potential to stand the test of time. Some of have been around for years, yet are just now starting to become commonplace. Some, however, are brand new to the world of document management software. Here are the 8 biggest document management trends for 2019. 1. It's all about the cloud. When cloud computing started to gain popularity, many people were hesitant to get on board. The technology seemed promising, but how did it work? Years later, it's clear that the cloud is here to stay. Cloud computing has revolutionized software in general, and has had a profound impact on document management systems. The cloud ensures that documents are available at anytime, anywhere. With cloud computing, you don't need to be on a specific computer or within a closed network in order to access your files; all you need is an Internet connection. Web-based document management also allows for scalability, making it a solution for businesses both small and large. Since it offers ease of access and reduced costs, cloud computing drives the best document management systems. 2. Social integration is essential. Social media networks now rule the Internet. Many people log into Facebook or Twitter the moment they fire up their laptops, almost unconsciously. These and other social networks have made it easier than ever to connect with friends and colleagues -- replacing email, phone calls, and letters as primary methods of communication. While the term "social" was once delegated to catching up with friends and family, it has completely infused the business world. Today, social technology is as much a professional tool as it is a personal one. Social technology has been successfully integrated into document management and intranet file sharing systems, providing a seamless process for organizing, storing, and revising files. 3. Mobile-friendly development is a requirement. You spend a lot of time throughout the day checking your smartphone or tablet, tools that have streamlined the workday. Today's professionals are constantly in motion, and they must have constant access to important files and documents. Document management software needs to be accessible from mobile devices. Accessibility itself isn't enough, however — the experience must also be user-friendly. As mobile devices continue to increase in popularity, so too does the necessity of mobile-friendly development for your software platform. 4. Client portals are being requested. Like your employees, your clients are the lifeblood of your organization. Customer satisfaction determines your bottom line. Modern clients tend to be tech-savvy, and you can engage them more deeply through your business technology. Document management software can do just that, particularly in regard to project management. Documentation can be shared between project managers and customers through client portals. Client portals can easily be set up through a company intranet that contains a document management system, among many other tools. Although email has long been used for this purpose, social intranet software allows your customers to log in, access documents, and become part of the conversation. They can ask questions, comment on documents that have been uploaded, or download them for themselves. Intranet software strengthens your customer relations, aligning them more closely with your projects while providing ease of use and transparency. Many professionals prefer to work alone, claiming to be more productive. While that may be true in certain cases, collaboration generally enhances projects, including document management. Email has typically been the tool for collaborating on documents. However, email collaboration can be cumbersome and confusing, especially when you're trying to track changes and reference earlier versions of a file. When you're collaborating within a single social space, these problems disappear. The best software vendors know the importance of collaboration tools, and they've incorporated this functionality into their social intranet software and document management products. 6. Workflow and project management are becoming part of the picture. Project management software comes in all shapes and sizes. 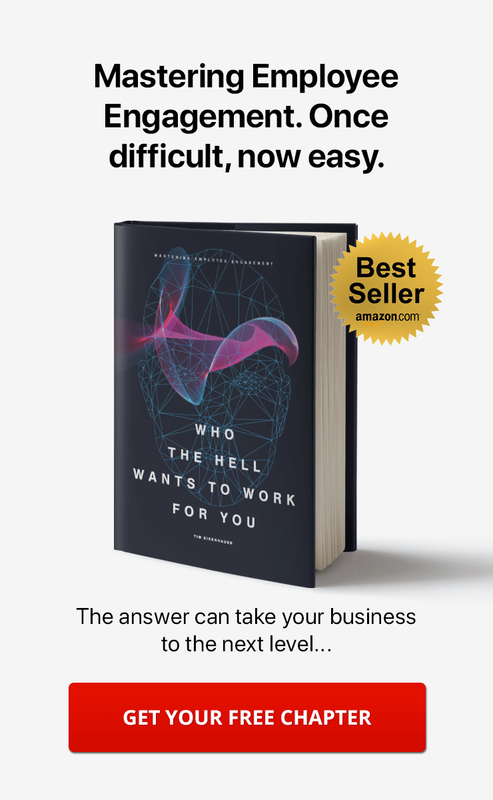 It's been effectively used by a range of businesses across all industries for years. The downside to traditional project management software is that it tends to function in a stand-alone manner. Once status changes are noted, users often have to log into different software platforms to handle other aspects of the project ... like document management. But ... what if the two could live within the same space? With social intranet software, they can. Project managers can streamline operations by integrating their scheduling, workflow, communication, and document management within the same space. 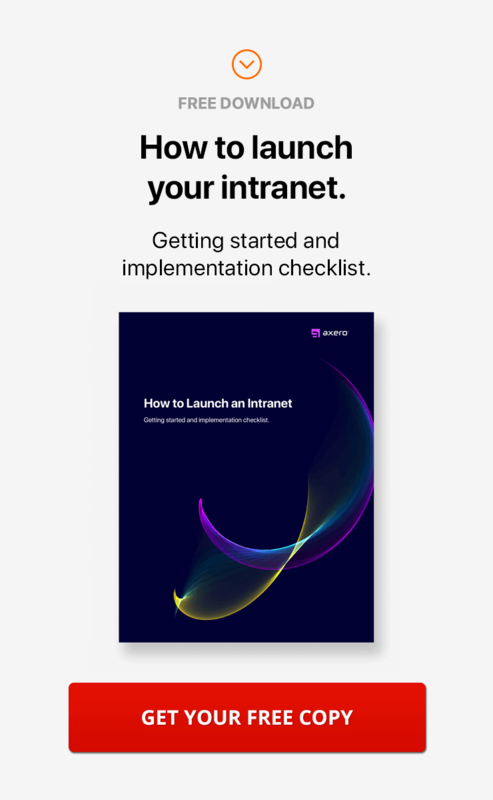 This is precisely the concept behind social intranet software, so if your document management platform doesn't allow for project management, it's time to look for a new solution. 7. Scalability is a must. As your business grows, can your current document management system grow with it? Scalability is a software platform's capacity to do just that. Intranet document management software that has been designed with scalability in mind enables business owners to transition smoothly in organizational size. 8. Services are becoming more affordable. Although you get what you pay for in software, and many "one size fits all" options aren't worth their low price points, reputable software companies are beginning to offer more affordable products and services to their customers. Cutting-edge document management software was once so expensive that many organizations chose to avoid it altogether. Today's vendors know that in order for their software to be adopted universally, it has to be affordable. Cloud computing and advancements in technology have made it possible to purchase benchmark document management and intranet software solutions without breaking the bank. These eight document management trends give us an idea as to what the future holds for document management software. Businesses are rejecting outdated, stand-alone applications in favor of integrated, user-friendly solutions. Social technology, cloud computing, and mobile devices have permanently impacted document management, making life easier for business professionals in virtually every industry. If you're stuck with an aging document management system, consider switching to social intranet software like Communifire, and stay ahead of the competition.